Different plantings offer much to a new landscape project. Landscape Specialists offers a wide variety of plant installation options. When different trees, shrubs, and perennials are planted they create a great way to soften the landscape. Landscape Specialists also installs mulch or decorative gravel in your new planting beds. 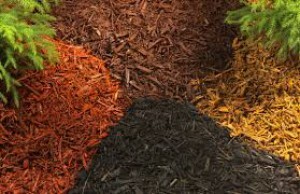 Enviro-mulch is available in red, gold, or brown. Other mulch options include shredded hardwood and shredded hemlock.